* As the size and the number of vessels calling at Antwerp increased rapidly, Brabo developed in the 1980s its own winch-trucks, making it possible to handle larger vessels in less time. * Brabo was one of the authors of ISPO (International Standards for Pilots’ Organisations), a safety and quality management system specially for pilots and pilot organizations. * In 2012, our pilots started using PPU’s (Personal Pilot Unites), helping them to manoeuvre with large vessels in shallow waters. 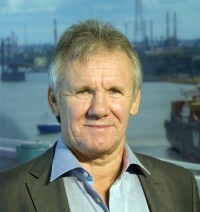 Brabo is an active member in several working groups and numerous European and International Organisations. It is one of the founding members of the European Boatmen’s Association (EBA) and the International Boatmen’s Linesmen’s Association (IBLA). The secretariat of EBA is based at the offices of Brabo. Brabo is also an active member of the European Maritime Pilot’s Association (EMPA) and the International Maritime Pilot’s Association (IMPA). Brabo – Pilots and Boatmen: over 80 years 24/7 at your service! As soon as the first vessels docked in Antwerp, boatmen were ready to moor and unmoor them. They soon also began to help the vessels move around the port. A profession was born, dock piloting. The first pilots were shrimpers, seamen or barge crews working as self-employed traders. Back then piloting was not regulated. But as the number and size of vessels coming to Antwerp increased, so did the risks. So the Authorities of the City of Antwerp issued a regulation in 1904, obliging pilots to be officially licensed. In 1910 some 45 dock pilots sets up a cooperative: “Progress”. In 1923, a rival company “Neptune” is founded. Competition is fierce. The two companies later decided to merge to create the cooperative Brabo in 1931, which still exists. Brabo’s majority shareholder I the “Ship Owners’ Protection Fund”(SOPF), which own 55% of the shares. This fund was founded and is managed by the Antwerp Shipping Federation and the Royal Belgian Ship Owners’ Association, which jointly represent the majority of Brabo’s clients. The other 45 % is owned by its personnel, i.e., pilots, boatmen, employees and technical staff. So our clients and staff are directly represented in the Board of Directors, protecting the interests of clients and staff alike. 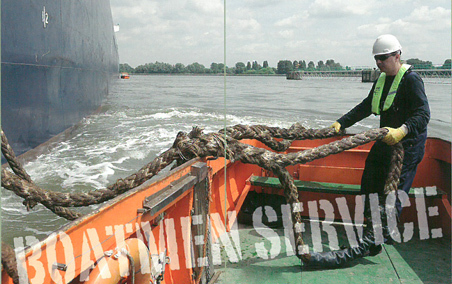 In Antwerp our boatmen are active 24/7, servicing our clients from 6 different locations. Supported by more than 30 winch trucks and over 30 working boats stationed at strategic points throughout the Port, our boatmen moor and unmoor every vessel, whatever the size, type and location. Our boatmen also work the river Scheldt from the Dutch border to the Brussels sea canal. 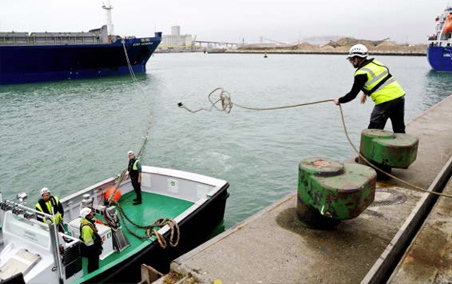 On a yearly basis, they assist almost 50.000 mooring operations. For best-possible performance our boatmen are coordinated by a centralized dispatch team and supported by our dedicated technical service division. 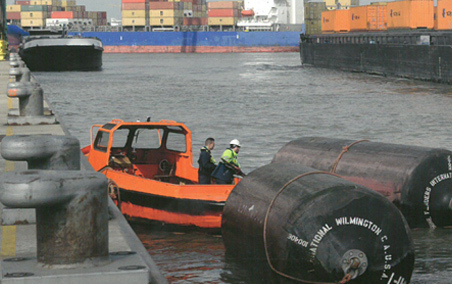 Our core business is piloting, mooring and unmooring ships. We now offer these services in the Port of Antwerp and on the sea canal to Brussels. 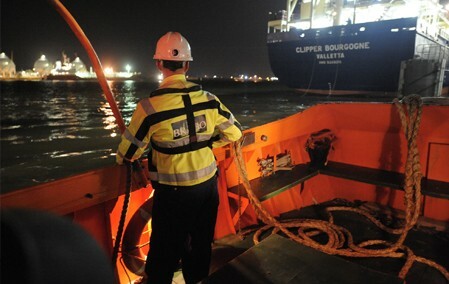 Through our subsidiaries SCBA Breydel and CVBA Bootsmannen, we also perform similar activities in the Port of Zeebrugge. In order to become fully licensed, all boatmen have to pass an official examination, organised by the Flemish Authorities.